Feeling tired, follgy brain and struggle to lose weight? A Methylcobalamin B12 Injection might get you feeling better fast! You’ve been registered to get $25 off! Buy 4 and get the 5th FREE! This metabolic-hormonal vitamin is found to be extremely deficient in the body throughout humans across the globe. High levels of B12 are in grass-fed beef, dairy products and most fish. Poor dietary habits and lifestyle can lead to many deficiencies, especially B12. This can put you at a higher risk during pregnancy as well as impact neurological and cardiovascular health. B12 injections may quickly elevate the level of B12 in someone who is deficient. Why Methylcobalamin vs Cyanocobalamin? Truth is your body has no use for the cyano compound. This form needs to be converted from the cyano- compound to the methyl-compound that the human body needs to function properly. One of the biggest reasons to avoid the cyanocobalamin form (Cyanide) is that you face the problem of the cyanide group that is liberated during the actual conversion into the “active” (useful) form of (methyl) B12. If you recall that Cyanide is famous for being a “poison”, so your body has to try and remove this toxic unwanted substance first before allowing it into the cell. 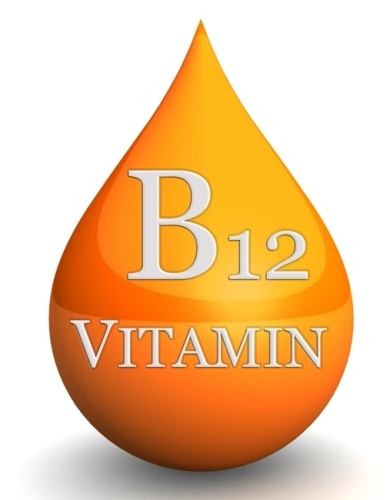 If you are taking B12 through injections, capsules, liquid, spray or chewable tablets, many manufactures and company’s use the cheaper form of B12 (cyano). Obviously, cyanide isn’t something you desire to find lurking in your vitamins but unfortunately it creates huge profits when they choose to use this toxic form. Cyanocobalamin does not exist naturally in nature or in any living organism and that is why at Ideal Self Today Madison we choose to only use the methylcobalamin form in any of our B12 products! Methione: An essential amino acid, meaning that it can’t be synthesized in the body. Methionine helps form SAM (S-adenosyl methionine), which is the “activated” for of Methionine. Choline synthesis is an essential nutrient that is necessary for brain health, intelligence, and synaptic plasticity. Inositol: A B vitamin and a primary component of cell membranes. Choline: Similar to the B vitamins but not “officially” a B vitamin, yet often placed in the B vitamin category. It is an essential nutrient which is water soluble.